Across America, outlet malls give shoppers an opportunity to find clothing, accessories, and home furnishings at a discount. It becomes a travel destination for families to stock up on items for their children, or anyone shopping on a budget. With people becoming smarter with their money, outlet malls have increased in size and are popping up all over the country. Fortunately for me- I work at one. Yes, yes, this eager writer doesn’t make his living gracing readers with his poetic words, but is a manager for a clothing store at the outlet mall. I have access to over 200 stores providing discounted, sometimes not so much, merchandise to travelers from all over the world! It’s a fun environment to be in and even better when you find a store that carries something that you enjoy, besides the store I work at- of course. One of the stores that I visit often is called VF Factory Outlet. They are the partner company to multiple, more recognizable, companies like: Jansport, Nautica, Lee Jeans, Wrangler, and most importantly- Majestic. Ah yes, you put together that last piece? Thats right, Majestic Athletics manufactures pretty much anything with a sports logo on it in the modern day. 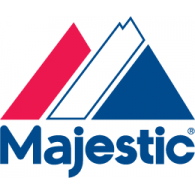 Sure, Nike and other sportswear companies have licenses to slap sport logos on merchandise, but Majestic is king. And remember: It’s at an outlet mall! Also, most of this merchandise falls under different categories: Seconds, discontinued items or defective. Most of the time it can be a slightly offset screen print, or the smallest of stitches out of place. Mostly things nobody would notice. Ok, before you get too excited and run to your nearest outlet, remember that most of the stores receive its merchandise based on location; this works out for me because I am one of the few remaining Astros fans left on this planet. 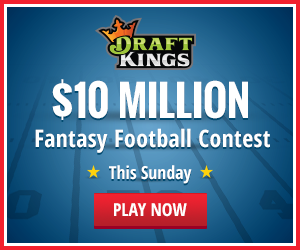 In the front of the store, under lock and key are the top dollar jerseys. 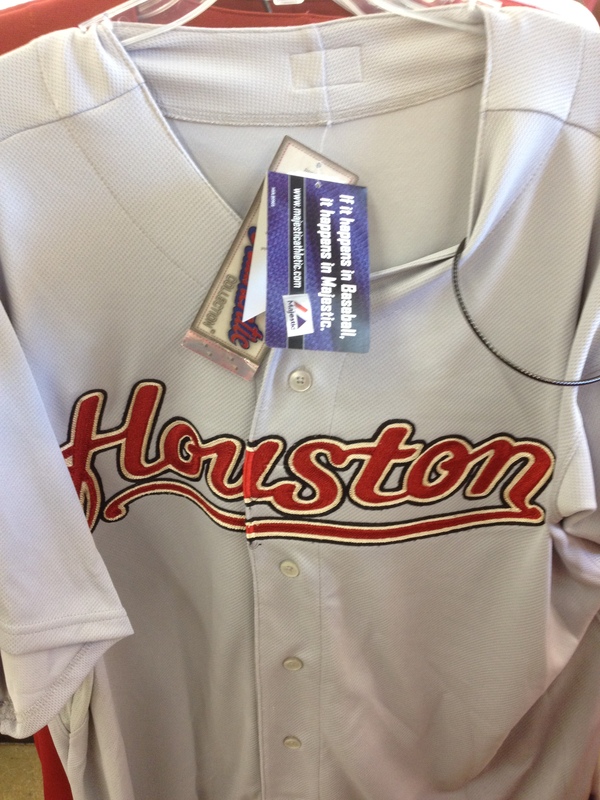 They have the onfield Astros jerseys worn by the players for sale. 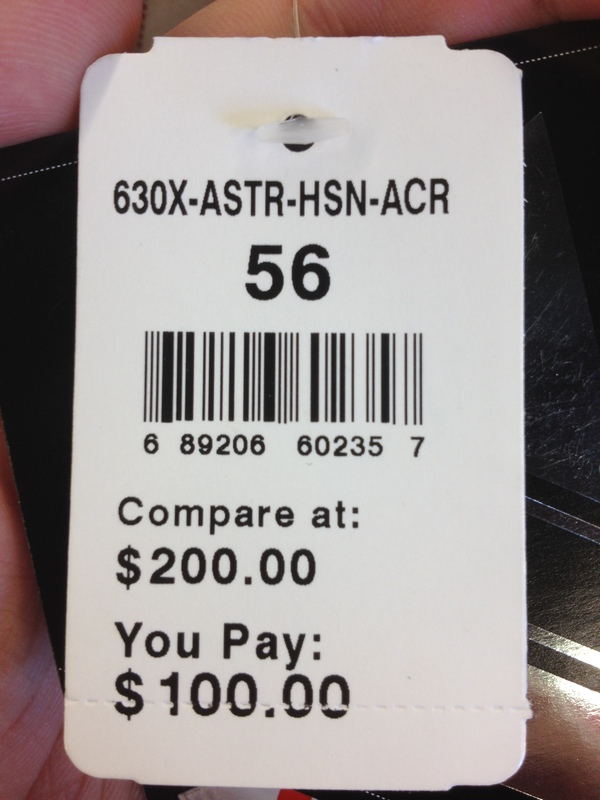 The average original price for these is around $200, but here they were only $100. Still a great deal if you love the look and feel of a authentic jersey. To be clear, these are one step away from being team issued. The authentic jerseys feature the same stiching, patches and baseball tag at the back of collar. Really nice. You never know what treasures you may find at the outlet mall. Sometimes a good deal is just too good to pass up. Even if you think you didn’t need it! 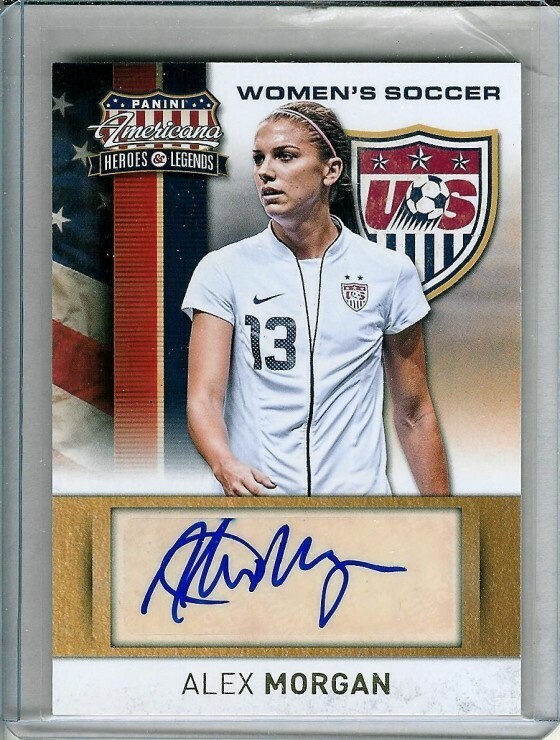 It’s also a great place to look for sports merchandise, especially if you’re getting it from the source.